An unforgettable visit with a magical atmosphere for adults and children alike: the Harry Potter studios provide visitors with the unique opportunity to see how the films from the famous saga were created and discover the original sets, costumes, magical objects, animated creatures and breathtaking special effects, potions and spells immersed in a fantastic enchanted atmosphere. Not to be missed! A two-hour coach transfer from the port of Harwich takes us to the Harry Potter studios: let us get ready to retrace the footsteps of the main actors as well as those of hundreds of people involved in the making of these fantastic films, from set designers and make-up artists to digital animators. Over the years, many sets, furnishings, costumes and original props were created and kept safe and they are now the ingredients of the fantastic experience awaiting us. We discover the authentic Great Hall and the Gringotts Wizarding Bank or get on the Hogwarts Express steam locomotive and take a photo on a replica of Platform 9 3/4. We explore Dumbledore’s Office, Professor Snape’s classroom, the Eeylops Owl Emporium and head to the famous Diagon Alley with the Olivander Wand Shop. We also have the chance to admire thousands of complex impeccably-made handicrafts that were used on the film set making the atmosphere even more magical. 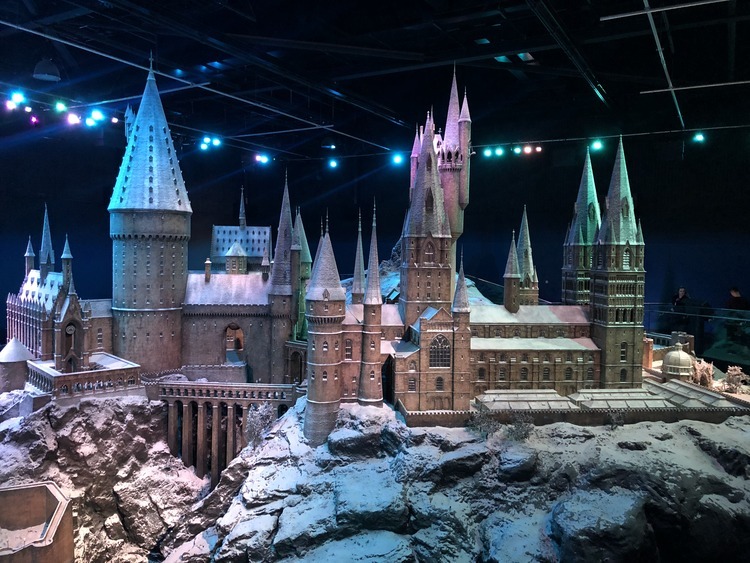 When the last film of the saga, “Harry Potter and the Deathly Hallows” was finished in 2010, the iconic film sets were put back together and fans were given the unique opportunities to see them in their original form. We cannot help but go for a ride on one of the flying brooms or taste the mythical butterbeer, a reproduction of the most famous beverage in Hogwarts (of course this is not a real beer and it is alcohol free, so it is suitable for children).